Daffodil is an adult Turquoisine Parrot, a type of grass parakeet native to Australia. Daffodil is very shy and would do best in a flight environment. We are uncertain of her age, as she came to us from a hoarding situation. 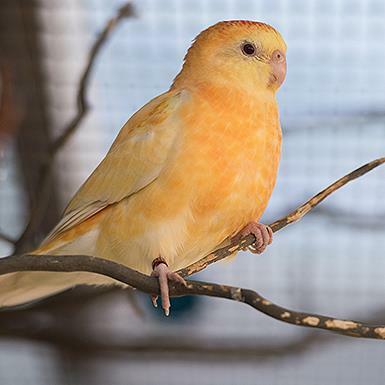 Daffodil is bonded to another Turquosine Parrot, Mimosa, and they must be adopted together.